Shea butter. We've all heard if it, and we know it's supposed to do something good for us, but what is it, really? Extracted from the nut of the African shea tree, shea butter is a fat originally used in cosmetics, cooking and even as a topical painkiller because it is loaded with fatty acids, melts at body temperature and binds well to water, making it a great, fast-acting and long-lasting oil. So it's no surprise that there are tons of beauty products loaded with this special butter. This series will cover three different categories of shea-rich beauty products. This last group is a collection of body products featuring our prized ingredient! When my son was an infant, he had eczema all over his pudgy little tummy. We tried just about every kind of moisturizing concoction we could come up with, and the only thing that brought him relief was calendula cream. So needless to say, when I saw this product from Kneipp, I was very excited. Shea butter and the miracle-worker calendula? I was sold! There was no disappointment as I smoothed this thick, potent cream onto my sore heels. With 10 percent moisture retaining urea, rosemary essential oil for relieving tired tootsies, and panthenol and vitamin E for healthy skin, the formula sunk right into my feet. 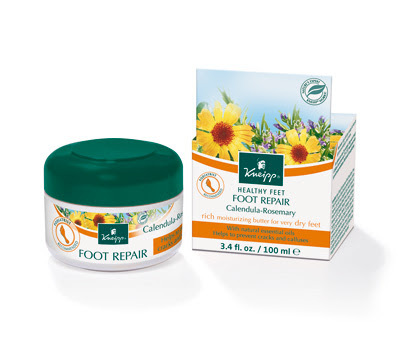 Kneipp also claims that this product has antibacterial qualities and deodorizes the feet. I will say the cream smells very strongly of rosemary, which may bother some more sensitive smellers. My recommendation? Increase the absorption and set your nose at ease by slipping on your favorite pair of fuzzy, warm socks. Who would've thought there would be a heel treatment that could be kept in your purse and wouldn't involve making a horrible mess? Not this girl! Enter Stiletto Stick. This handy dandy deodorant-like package comes loaded with a decadent heel balm that rolls on smoothly. There is very little residue on your feet and no mess on your hands! If you live in the city, like I do, I don't recommend putting it on while out in the world wearing sandals, because it still will pick up some street grime, but if your tootsies are in socks -- roll away! And while you're at it, check out some of Butter London's fantabulous nail lacquers. They are my absolute favorite! 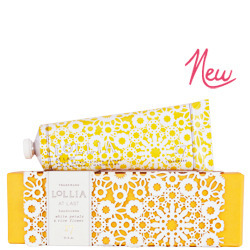 The first thing to note about this hand cream is that it comes in an absolutely beautiful package. I wish I could have come up with a continued use for the beautiful "cutwork" floral sleeve that came on the box. It is a piece of art! 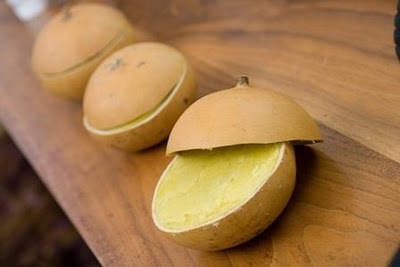 And what is inside is great as well. It's formulated with macadamia nut and avocado oils, aloe extract and our star ingredient, shea butter! This hand cream comes in a variety of wonderful scents, though I prefer At Last, which is an intoxicating blend of rice flower, magnolia and mimosa. I'm not a huge fan of floral scents, but I'll gladly slather my paws with this one since it's light and relaxing. Shea butter is the star in a lot of great products, and facial moisturizers are definitely on the list! I have oily to combination skin, and a lot of the products continuing shea for the face are formulated for dry skin, which is not a good fit for me. One exception to that rule is this lovely nighttime product. It's made with an impressive cast of characters including antioxidants, green tea, sugar cane, rice bran, soy protein, isabolol, marshmallow extract and chamomile. Phew! Throw in shea butter and sunflower oil for deep hydration and that is one stacked deck. This product sunk into my skin immediately and made my skin feel more taut and soft without any additional greasiness. Over time, fine lines and wrinkles are reduced and overall skin happiness is increased! I am a total and complete lip balm addict. My drug of choice has always been Lip Smackers, but this lip formula is right up there with my favorites. 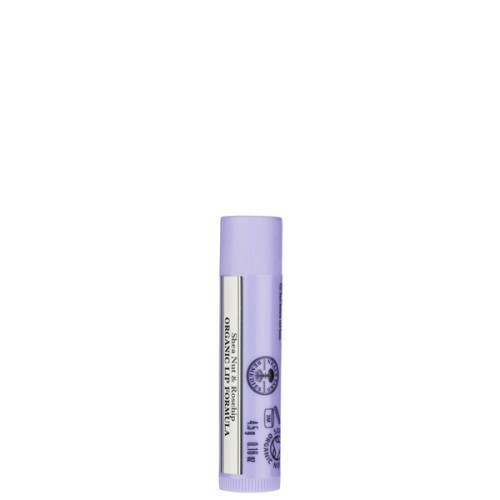 Featuring shea butter and rosehip, this little tube goes on smoothly, leaves lips fresh and moist and avoids that yucky greasy and sticky feeling so common in lip treatments. I've already got this one stowed away in my car console!